Parents can make young drivers safer | What Car? A study has shown that involving parents in formal, paid-for driving lessons could reduce their offspring's likelihood of crashing. The study found that parents' presence during lessons helped to cut arguments between learner drivers and mums and dads who offer private tuition. 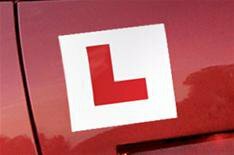 A resource pack given to young learner drivers as part of the programme, called Staffordshire Young Driver Coaching Programme (SYDC), was also found to help produce better drivers. It helped give parents a better understanding of their child's progress, while also updating their own knowledge of the Highway Code. In turn, this resulted in parents having more confidence to supervise learners, as well as the need for fewer paid-for lessons. The study, conducted by Staffordshire County Council and the University of Keele, was evaluated by the Royal Society for the Prevention of Accidents (RoSPA). It involved almost 20 families and a quarter of Staffordshire's approved driving instructors (ADIs). Although the study didn't measure the impact of the SYDC programme on crash rates, it highlighted good practice that RoSPA hopes might make lower crash rates possible.